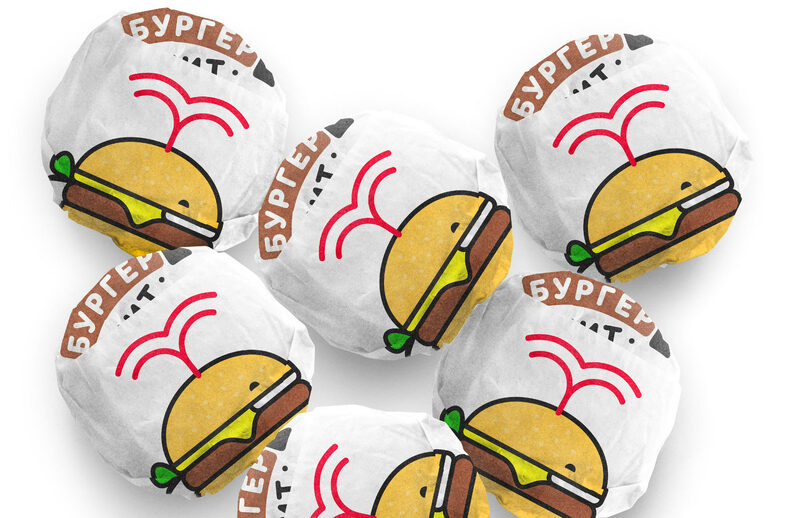 to invent a logo for a burger shop. They do not have any special positioning (burgers with cuttlefish ink! vegan! sweet! American style! ), they simply aim to cook tasty food using good meat and welcome all guests. A recognizable and friendly logo for the company was created at the studio. 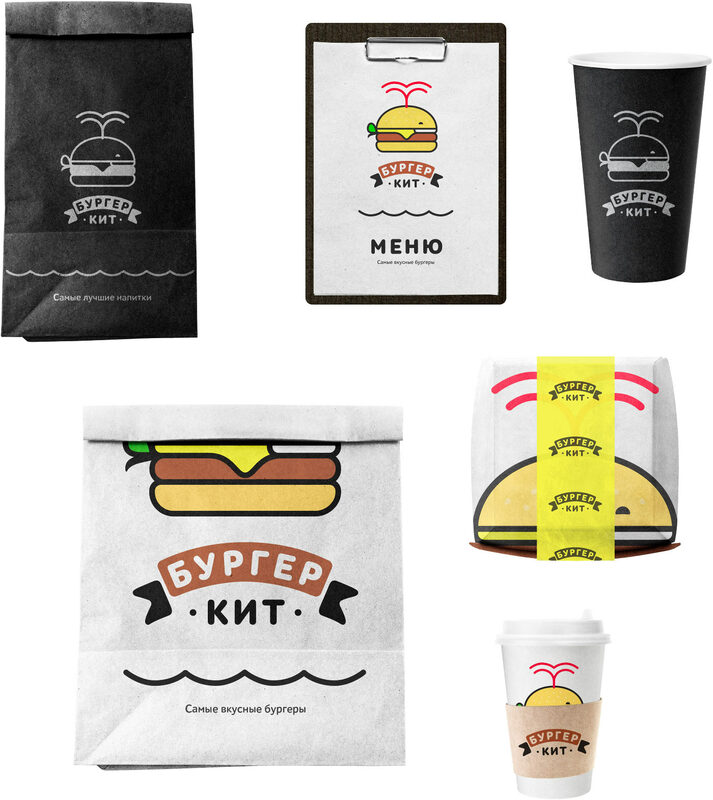 The name of the shop combines two wonderful symbols: whales (a word that sounds like “kit” in Russian) and burgers. Everyone loves burgers, everyone loves whales. What could be better? A burgerwhale! Making the burger similar to a whale, drawing an eye, a typical whale smile, a tail made of salad, et voilà! The ketchup fountain symbolizes the juiciness of the burger. The symbol is instantly recognizable and precisely conveys the name of the shop.